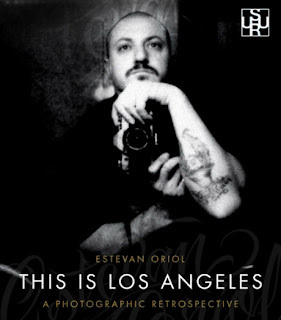 Los Angeles boutique gallery SURU (7622 Melrose) will host the work of Estevan Oriol beginning February 1. The show, a photographic retrospect collection of some of his most recognizable works will be on display. The show, entitled 'This is Los Angeles', will run through February ending on the 28th. The former tour manager for Cypress Hill's work has been published in numerous publications that include: Complex, GQ, FHM, XXL, Anthem, Rime, The Source, and Juxtapoz. He has captured the likes of Kanye West, Justin Timberlake, T.I., DJ Quik, 50 Cent, and Travis Barker. Oriol has taken his photography into uncharted territories capturing the inner circles of Los Angeles street life. Estevan's accomplishments do not end with photography. He is the co-founder of Joker Brand clothing and SA Studios. SURU and Estevan will be releasing a limited edition collaboration tee in the next few weeks.